2016 was a year of huge change and impressive impact. 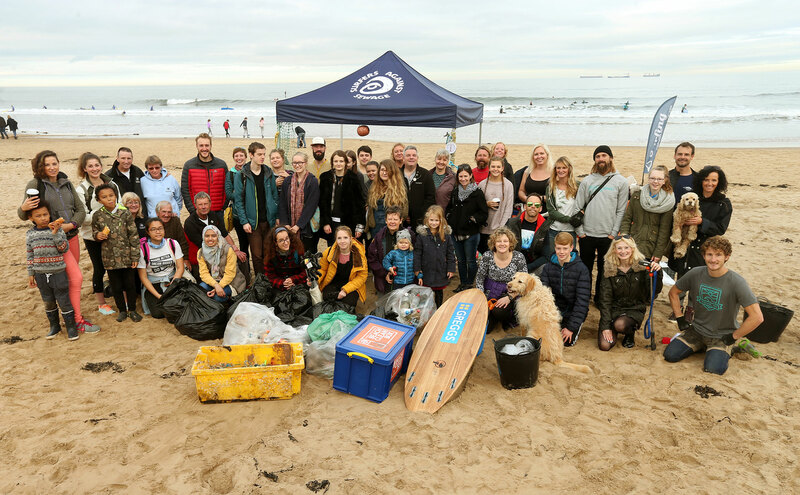 It was a year where Surfers Against Sewage brought together 20,000 volunteers to protect our coastline, delivering 110,000 hours of volunteering time, with a value of over £1 million to the health of our beaches. The year also saw our network of Regional Reps grow, creating 125 local chapters to lead grassroots community conservation efforts across the whole of the UK, organising over 1,000 significant beach cleans and 700 education talks. We were also thrilled to see the results of the single-use plastic bag charge, which has already eliminated 6 billion plastic bags, demonstrating the dramatic impact of campaigning for legislative change. Our work on water quality continued to provide some of the most sophisticated real-time water quality information in the world, issuing almost 250,000 free messages to keep people safe in the sea. The world also saw seismic shifts in the political establishment in 2016, some of which may threaten the very fabric of the UK’s environmental policy and legislation. 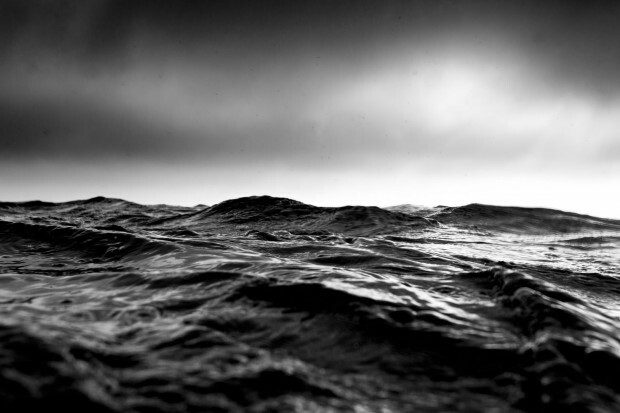 Some of these changes may slow or reverse progress on issues impacting our oceans from plastic pollution to water quality, so there has never been a more important time for us to build an even more powerful movement for cleaner, protected oceans. 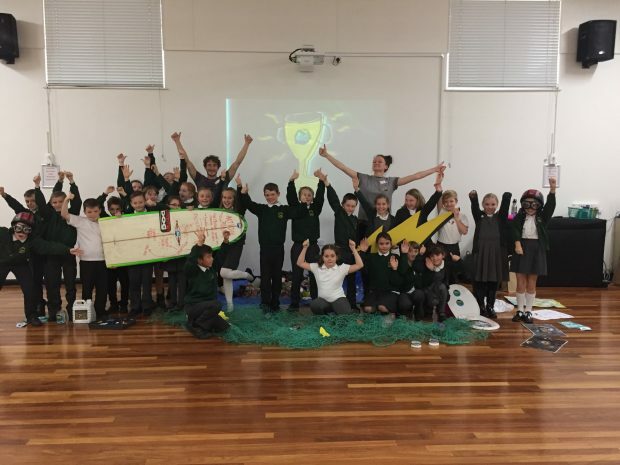 Surfers Against Sewage is uniquely placed to inspire, equip and connect local communities in response to the changing issues damaging our coastlines, creating a new popular environmental movement to safeguard our seas and beaches for everyone. This unique position allows SAS to bring together communities, government, fellow NGOs and corporate stakeholders working to protect oceans everywhere. We want to share some of our priority projects for this year, and invite you to be part of our movement. Marine plastic pollution has sadly become synonymous with any coastal activity, from surfing to swimming, beach holidays to wildlife watching – it is simply an expected part of our experience. This is why marine plastic pollution, and specifically tackling society’s throwaway, excessive or unnecessary plastics, is now Surfers Against Sewage’s top priority. Plastic pollution is an issue that connects the environment with all parts of society, and is something that we can take action on at every level. Indeed, it will only be through concerted collective action that we will be able to create the paradigm shift that is needed to stop the flood of plastic pollution washing over our world. It’s time that we re-wild our tidelines, restoring the natural mix of driftwood, cuttlefish bones and seashells rather than plastic bags, drinks bottles and wet wipes. A plastic free coastline will need a radical and progressive plastics industry, which rewards design innovation to eliminate throwaway plastic packaging and components, and one that supports new systems to trap plastic in the economy rather than the environment. Marine plastic pollution is a symptom of ever-increasing corporate expansion and profit, which is yet to be fully accountable for the entire lifecycle of the products and packaging it manufactures. This year we will urge businesses to dramatically reduce their plastic footprint by rethinking and innovating sustainable design, reuse, recycling and delivery systems. We will also be supporting and connecting communities in reducing their own plastic footprint, eliminating throwaway plastics. After all, we can’t tackle the plastic pollution problem with end of pipe solutions alone. 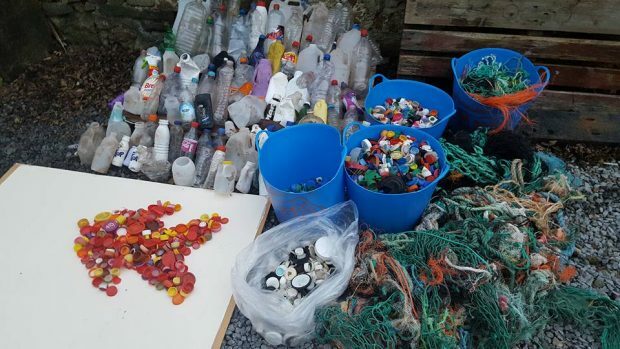 Whilst we will continue to redouble our community efforts through initiatives such as the #BeachCleanBox and our increasingly popular community beach clean movement (Big Spring Beach Clean, Autumn Beach Clean and #MiniBeachClean), we will focus even more energy on preventing plastics from getting into the ocean in the first place. This will be done through a new SAS project called Plastic Free Coastlines; a campaign and grassroots movement to engage and connect individuals, communities and businesses in the collective effort to reduce the flow of single use plastics into the marine environment. Plastic Free Coastlines is a positive vision that our whole community can share and work towards together. We will continue to advocate and deliver strong and progressive plastics policies and projects. Campaigning to eliminate unnecessary, throwaway plastic products. Calling for financial incentives to increase reuse and recycling. Urging business to design out waste. Collaborating with progressive businesses and NGOs brave enough to challenge plastic pollution and develop innovative new solutions. We will also continue to inspire, mobilise and connect a movement of tens of thousands of volunteers taking direct action to remove plastic from our beaches. We already have our next campaign target – plastics drinks bottle and containers. Our Message In A Bottle campaign calls for a comprehensive one-way deposit return system in the UK. This will see a small deposit added to the purchase cost of various products, which can be redeemed on the return of the container. It is a system that is proven to work in a number of countries, and one that places only a relatively small cost to business to introduce. Studies show that one-way deposit return systems not only reduce littering but they also dramatically increase recycling rates, create high-value jobs and save local authorities money through reduced cleansing and refuse collection costs. 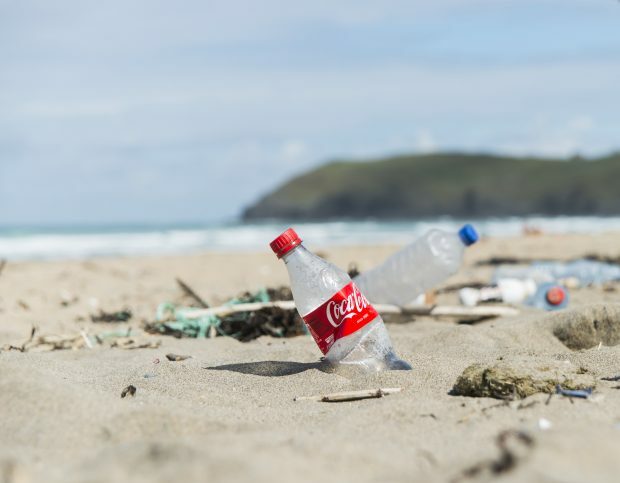 A deposit return system for the UK is the logical, effective and powerful next step in turning the tide on the marine plastic pollution crisis. With 38.5 million plastic bottles and 59 million cans being consumed every day in the UK, the need and urgency for more radical recycling and reuse action is growing by the day. We are delighted to be a founding member of the global #BreakFreeFromPlastic movement and Plastics Movement Alignment Process, which bring together hundreds of NGOs creating solutions to plastic pollution around the world. It’s encouraging to see this movement gaining such pace and profile. 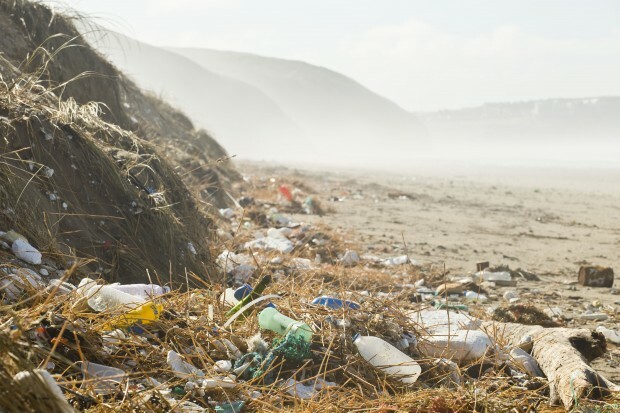 Perhaps, most importantly we can use our Waves All-Party Parliamentary Group (APPG) to bring together fellow NGOs, charities, campaigners and experts to urge politicians to explore and introduce the strongest possible policies to stop ‘plastic emissions’ into the environment. It’s crucial that governments adopt new policies and legislation to accelerate this process at the necessary pace to stop our oceans succumbing to plastics. The chair of the Waves APPG, Steve Double MP, recently raised the important issue of deposit return systems with the Secretary of State for the Environment and we welcome the government’s proposal to set up an innovation fund to explore the development of a UK deposit systems to dramatically increase plastic bottle recycling rates and prevent this ‘throwaway’ plastic from polluting the marine and terrestrial environments. Plastic Free Coastlines, Message In A Bottle, The Big Spring Beach Clean, The Autumn Beach Clean, The #MiniBeachClean, Plastic Free Schools, The Waves All Party Parliamentary Group, The Ocean Plastic Bottle Project. In 2017 we will continue to build an inclusive movement to protect our coastline including our beach clean volunteer network, now the largest in the UK, the Regional Reps programme and our new education programme – Plastic Free Schools. 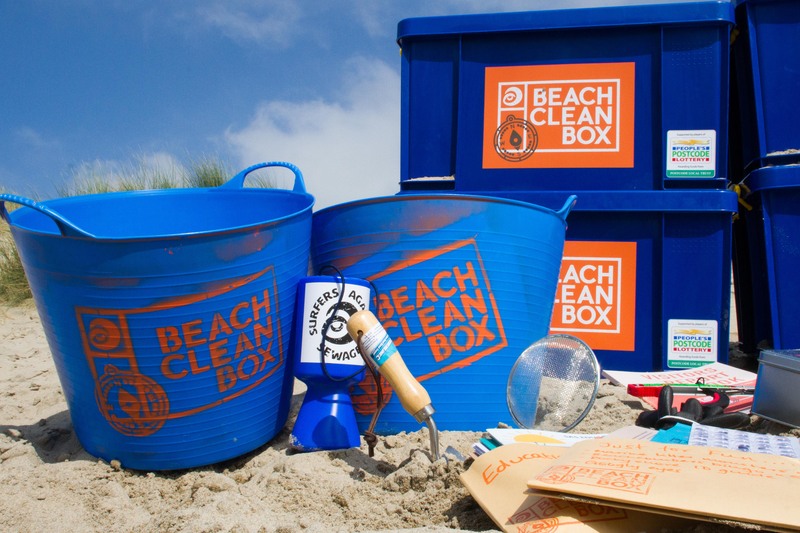 We aim to mobilise over 20,000 beach clean volunteers and reach hundreds of schools with our new education resources. We will continue to grow and resource our passionate network of regional leaders through the SAS Regional Reps programme, environmental training weekends and the Beach Clean Box. The last 25 years has seen a dramatic improvement in coastal water quality thanks to strong EU legislation and committed campaigning from SAS and other environmental organisations. In 2016, 98.5% of England’s bathing waters passed the EU Bathing Water Directive’s standards, compared to only 27% achieving this standard in 1990, when SAS was launched in the face of the woeful water quality. Widespread ‘Excellent’ water quality results last year pointed to the success of Surfers Against Sewage campaigns over the past decade, calling for cleaner bathing waters through an enhanced and improved Bathing Water Directive designed to better protect surfers, beachgoers and recreational water users. These higher standards mean that the 625 designated bathing waters around the UK are now scrutinised weekly on improved bacterial levels during the bathing season for the benefit of surfers, swimmers and holidaymakers alike. The Sewage Free Seas campaign also highlighted the need and mechanism to monitor and investigate any residual water quality impacts from the emergency sewer overflow system. Surfers Against Sewage has been at the forefront of real-time water quality information provision since 2008, which coupled with the EU Bathing Water Directive testing programme, now provides some of the strongest public health protection for water users in the world. As part of our commitment to providing the best possible water quality protection and information, Surfers Against Sewage also continues to promote sophisticated real-time water quality alerts through the Safer Seas Service to safeguard water users from reductions in water quality between weekly Environment Agency tests, driven by rainfall, sewer overflow discharges and diffuse pollution from farm and urban environments. The Safer Seas Service provides free real-time water quality information for 330 beaches across England and Wales. Our vision is to provide real-time and predictive water quality information for all beaches in the UK. Water quality priority projects: The Safer Seas Service, Human Health & Wellbeing, Cleaner Coastal Catchments, The SAS Documentary. We are working closely with Save The Waves and the Surfrider Foundation on the 5th Global Wave Conference, which will be held in Santa Cruz, California in October. The Global Wave Conference provides an unprecedented platform to promote the international efforts of the surfing, conservation and tech communities to better protect our priceless marine, surf and ocean heritage. Please visit www.globalwaveconference.org for more in on tickets and participation. We’d love you to be part of these exciting and important community initiatives, and invite you to join us in our shared vision for Plastic Free Coastlines and cleaner beaches for everyone. Join the movement at www.sas.org.uk/join, join us at a beach clean or connect with your local Regional Rep today. Plastic pollution in our oceans is the ‘new sewage’ - it is Surfers Against Sewage's priority issue. We have a vision of plastic free coastlines and we invite to be part of the movement to clean up our beaches. Together we can make a big difference. « Surfers Against Sewage – our work in 2016!